If you're looking for a barometer of how fast job seekers are taking to social networks, it's worth noting this: Three years ago, when Brad and Debra Schepp compiled the first edition of their book on the ways in which people were using social media networks to conduct a successful job search, they had trouble finding people to profile. Three years on, Brad Schepp says, the couple had to turn away stories for the second edition, titled "How to Find a Job on LinkedIn, Facebook, Twitter, and Google+." "So many people are using these networks to find work, it's no longer unusual," he says. "It's almost becoming the norm." That's especially true among younger job seekers, Schepp says. Moreover, Twitter and Facebook are being used differently than they were a scant few years ago. 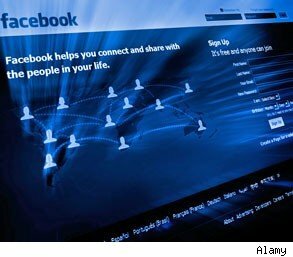 Job seekers are using Facebook, for example, to find people who may be able to help them get a foot in the door of a desirable employer. "People really weren't doing that few years ago," he says. The popularity of social networks is growing in part because they are succeeding in helping people manage their burgeoning networks of colleagues, friends and acquaintances. Facebook, et al, recognize that such networks can become unwieldy and have provided users with tools to manage contacts. On LinkedIn, for example, the site's InMaps feature shows how others are connected to those within your own network. Those who are connected to many people appear larger than others, so you know they have more influence. Maintaining a grip on all those you know is important, Schepp says. "If you don't have a good handle on your network, what's the point in having it?" When it comes to searching for a job, Schepp says, LinkedIn is the one social media network that job seekers and working professionals have to be on. He predicts that it won't be too long before LinkedIn replaces conventional resumes, adding that many job sites now feature a button that allows users to apply using information from their LinkedIn profiles. Though LinkedIn is generally the most useful of the sites for job seeking and connecting with career professionals, Facebook and Google+ do hold advantages for those involved in the visual arts, including photographers and graphic designers, allowing them to showcase their work. LinkedIn is more text heavy, Schepp says, which perhaps makes it the best choice for writers, journalists, public relations professionals and information technology workers, among others. Though Twitter may seem hamstrung as a communications tool because of its 140-character limit, Schepp nonetheless says it's a useful tool for finding jobs since many more companies are using it to post openings. To simplify the job search, services such as Tweet My Job have been developed to aid in sifting through the openings posted on Twitter. What's more, Twitter, as with LinkedIn, allows users to create customized lists -- say, employers within a 50-mile radius -- to help users find more useful information and contacts. These giants of social networking also aid in job searching by linking with other sites. For example, SimplyHired.com, a job search portal, can be accessed from within LinkedIn. "And once you do that," Schepp says, "you can see who within your LinkedIn network can help you get more information about that job." Use all the networks -- Facebook, Twitter, Google+ and LinkedIn -- and complete your profile at each site. The more information you provide, the easier it will be for a potential employer to match your skills and talents with those the company seeks. Be consistent across all networks. It's been common practice among many social media users to present themselves more professionally on LinkedIn, say, while creating a more casual image on Facebook. But employers have caught on and it may raise red flags about you if you exhibit a different persona on each site. Employers want to know the real you. Be savvy about your recommendations. LinkedIn and Facebook's BranchOut app allow colleagues and former employers to post recommendations on your profile. But employers can easily spot a quid pro quo relationship. So make sure those you post are from those who know you well. Both also give you the ability to find others associated with your connections, though only LinkedIn shows you how you might know someone and how many connections you have in common. Master each network's settings. Let's face it, Facebook's Settings pages are a nightmare, but familiarizing yourself with them puts you in charge of not only the information you share -- including stuff you'd rather not broadcast to the public -- but others' information that shows up in your feed. And that can be a big time-saver. You might not need to know, for example, when a connection has changed his profile picture, but you may want to know when he's changed jobs. Other sites have similar features that allow you to control the kind of information you share and see. Want your own copy of the latest edition of "How to Find a Job on LinkedIn, Facebook, Twitter, and Google+"? Be among the first five people to comment about this story on AOL Jobs' Facebook page and we'll send you a free copy.